A ponderous novel about the way war continues to rage inside those who have experienced its horrors firsthand. 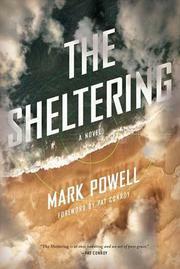 There are two narratives in the fourth novel by Powell (The Dark Corner, 2012, etc. ), whose fiction was previously associated with the Appalachian south but who here extends his reach from coast to coast as well as to such hotspots as Iraq and Afghanistan. The first strand concerns Luther Redding, a drone pilot from Florida who stalks targets in Afghanistan. He seems to be the protagonist until he disappears from the novel, though his absence remains a strong presence in the lives of his wife and two teenage daughters. In case the reader has missed the thematic point, the novel explains from the perspective of the older daughter, “Lucy talked about her family. For the last three years she had witnessed their collapse scarily mirror that of the nation.” They had enriched themselves on paper through real estate speculation, but their fortune fell apart like a house of cards. Luther’s assignment seems like a similar illusion—video game as war. His wife laments “the ossification of their marriage….That dry heap she felt blow by her, crumb by crumb, every night.” The other plotline concerns two brothers, both veterans suffering the ravages of war, who enlist an accomplice and embark on a cross-country drug run after the younger is released from prison. “The war’s seeped into the groundwater….It’s in our DNA,” says the jailbird to his older brother, who committed a war atrocity, allowed his family to crumble and recognizes that his brother's scam is a really bad idea. There are some parallels between the two sisters and the two brothers, but it’s hard to see how these plots might intersect. But they must. And through some authorial sleight of hand, they do. A very serious novel that doesn’t pull any punches but telegraphs too many of them.